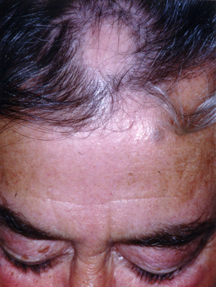 Hereditary pattern baldness, or androgenetic alopecia — In men, hair loss may follow the typical male pattern (receding front hairline and/or thinning hair at the top of the head). 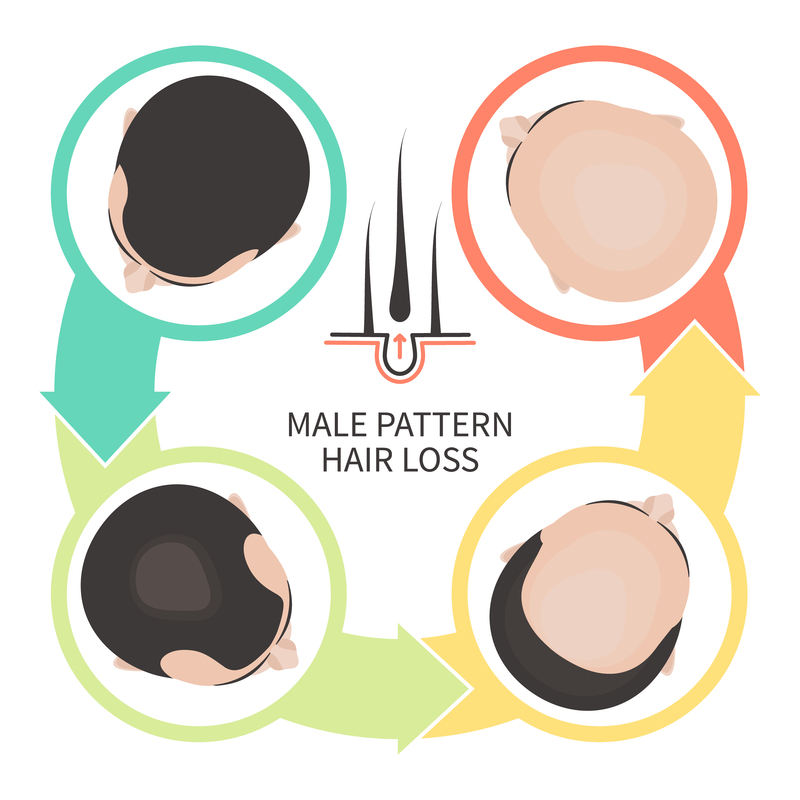 This is the most common type of hair loss, and it can begin at any time in a man's life, even during his teen years. It usually is caused by the interaction of three factors: an inherited tendency toward baldness, male hormones and increasing age. Many women will develop some degree of female-pattern baldness. In women, thinning occurs over the entire top or crown of the scalp, sparing the front of the scalp.